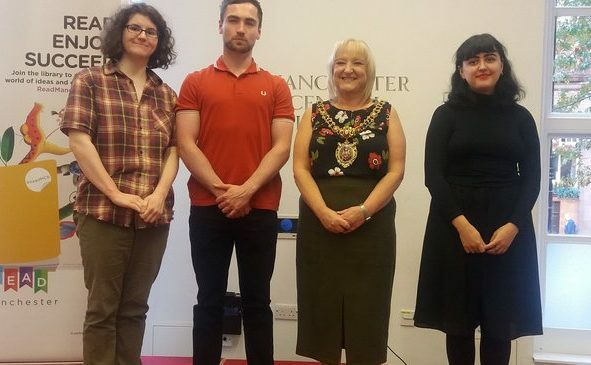 Squad grads Liz Gibson, Jack Mann and Annie Dobson shared their writing about what reading means to them at a recent event attended by Manchester’s Lord Mayor and local schoolchildren. As part of Manchester Literature Festival, the writers read their work, inspired by the National Literacy Trust’s Take-10 initiative, encouraging Manchester residents to read for 10 minutes per day. You can read the full pieces here.